Our loyalty cards require no work from you at all, you only have to remember to bring it with you every time you visit us, it is completely free and we need no details from you at all. With our reward scheme you’ll get a stamp on your loyalty card for every £10 spent. 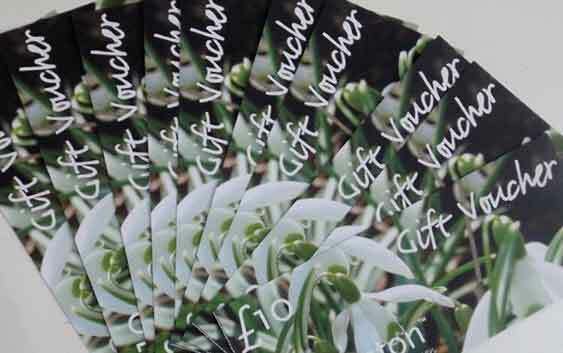 Fill your card and we’ll send you vouchers which can be redeemed against anything in store (except in the restaurant). You can earn up to £15 on one card and after you’ve finished that card we will simply issue you with a new one.